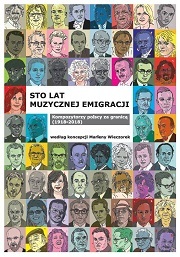 Winner of the audience award for the best documentary at the 34th Warsaw International Film Festival 2018 – Maksymiuk. Concerto for two. The movie directed by Tomasz Drozdowicz will be released in cinemas on April 12, 2019. A pre-premiere screening of the film accompanied by a meeting with its creators will take place on April 8 at 7:00 p.m. in the Witold Lutosławski Concert Studio of Polish Radio in Warsaw. The conductor Jerzy Maksymiuk and his wife Eve make up a special relationship. The charismatic maestro, successful in the world of music, seems to be totally helpless and lost in the daily life without the help of his wife, who supports him in the simplest everyday activities and takes many life decisions on his behalf. The camera accompanies the artist during his work with outstanding musicians (including Janusz Olejniczak, Marcin Wyrostek, Sebastian Karpielą-Bułecka) and orchestras, as well as shows the fascinating world of the genius composer, absorbed in the score to the very boundaries of madness.In the film's soundtrack we will recognise music of 13 composers, including Brahms, Beethoven, Prokofiev, Lutosławski, Kilar, Penderecki and Maksymiuk himself. 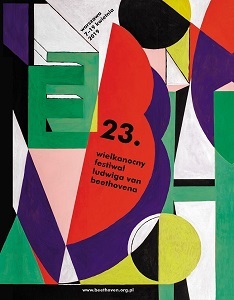 23rd edition of the Ludwig van Beethoven Easter Festival will be held on April 7-19, 2019. Thirteen festival days will feature twelve symphonic concerts, four chamber concerts, two song recitals and a concert for children. At the invitation of Elżbieta Penderecka, general director of the Festival, outstanding national and foreign philharmonic ensembles and a group of prominent soloists will perform. There will be a chance to listen to pianists such as Rudolf Buchbinder, Beatrice Rana, Mackenzie Melemed, violinists Pekka Kuusisto and Francesco Manara. Particularly awaited are the performaces of the Tonhalle Orchestra of Zurich under Paavo Järvi, the Helsinki Philharmonic Orchestra led by Susanna Malkki, the Dresden Philharmonic Orchestra conducted by Michael Sanderling, the Korean KBS Symphony Orchestra and its artistic director, Yoel Levi, and the enxemble I Virtuosi del Teatro alla Scala under the baton of Massimiliano Caldi. The motto of this edition, "Beethoven and the Song of Romanticism", strongly influenced the programme, giving the opportunity to listen to many musical works rarely present in the concert repertoire. The 200th anniversary of Stanisław Moniuszko's birth will be celebrated by a performance of the opera Paria directed by Łukasz Borowicz. The works of Polish composers of the twentieth and twenty-first centuries will be also present in the programme, among others Symphony in E minor "Rebirth" and Songs by Mieczysława Karłowicz, Little overture by Stefan Kisielewski and Symphony No. 8 "Lieder der Vergänglichkeit" by Krzysztof Penderecki. 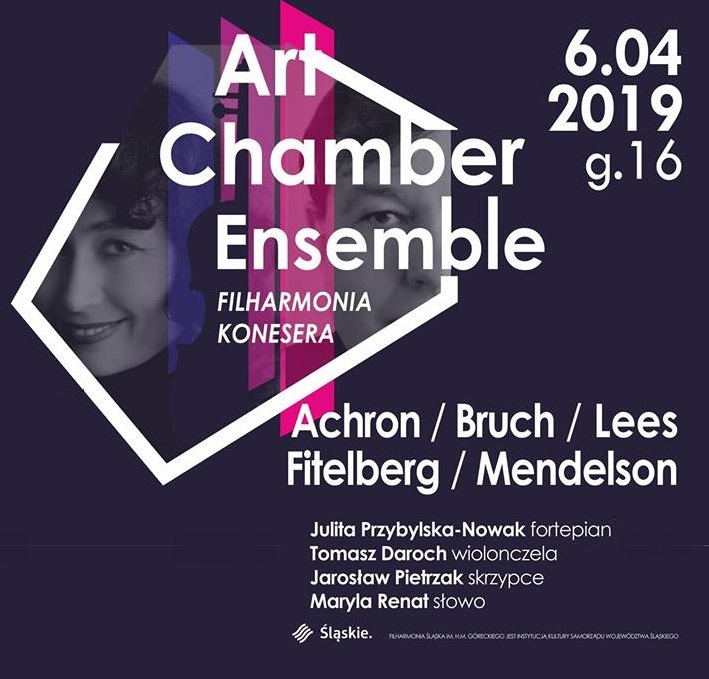 On 6 April 2019 at 7.00 p.m. the Art Chamber Ensemble will present Jewish music as part of "The Connoisseur Philharmonic" cycle in the Silesian Philharmonic. During the concert, the musicians will present Hebrew Melody for violin and piano, Op. 33 by Joseph Achron, Sonata for cello solo by Jerzy Fitelberg, Sonata for violin and piano by Joachim Mendelson, Kol Nidrei, Op. 47 by Max Bruch and Piano Trio No. 2 "Silent Voices" by Benjamin Lees. 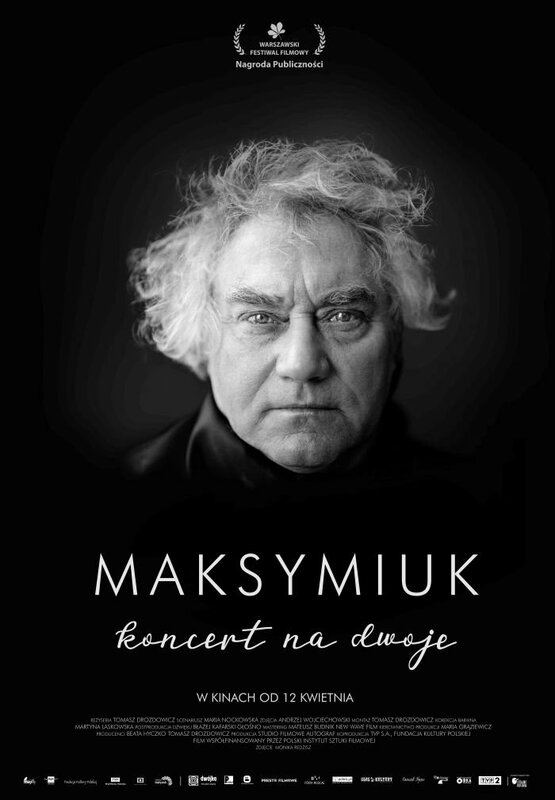 Jonathan Plowright, one of the greatest promoters of the forgotten masters of Polish romantic music, will be a guest of the Silesian Quartet concert, which will take place in the Polish National Radio Symphony Orchestra Concert Hall in Katowice on April 6, 2019 at 6.00 p.m. This time, the artists will recall slightly forgotten silhouettes of the last century composers. Central figure will be Mieczysław Weinberg, whose 100th birth anniversary is an excellent opportunity for this musical flashback. 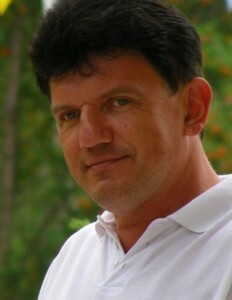 According to Marcin Trzęsiok, String Quartet No. 11 in F major, Op. 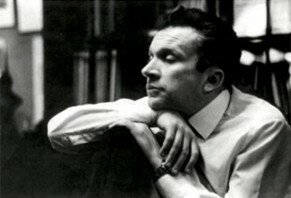 89 (1966) clearly reveals one of the main features of Weinberg's music – restraint. It is proved by the unprecedented use of mutes: two and a half (from four) parts are played with mutes and this effect is reinforced by the extensive pizzicato parts. It is a quartet full of ambivalence and suspense, in which neither despair nor consolation can be fully understood. The programme of the concert will also include String Quartet by Tadeusz Baird, who name was once placed next to such giants as Lutosławski, Penderecki or Górecki. The concert will be completed by Piano Quintet in C minor by Ignacy Friedman, who enjoyed the fame of one of the greatest pianists of the 20th century. He grew up in Krakow's Podgórze district but after years of global career, at the outbreak of World War II, he emigrated to Australia. The Sydney Conservatorium of Music awards the prize named after Friedman till this day. Ballet The Story of Sin will be staged at the Castle Opera in Szczecin on 6 and 7 April 2019. Can a woman's love make her hit rock bottom? Can she save her dignity in a world dominated by men? 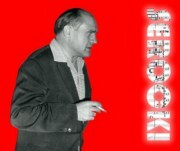 The ballet based on Stefan Żeromski's novel of the same title was also inspired by Walerian Borowczyk's movie, considered to be one of the greatest scandals of Polish cinema. It is not only a story of a passionate woman isolated in a man's world, but also an encounter with the late Romantic music of Mieczysław Karłowicz. The Orchestra of the Castle Opera in Szczecin under the direction of Jerzy Wołosiuk along with the soloists Joanna Tylkowska-Drożdż and Paweł Wolski will perform Karłowicz's works: Song for voice and orchestra Op. 1 No. 5 I remember the quiet, bright, golden days, Symphonic Poems Op. 9 Returning Waves and Op. 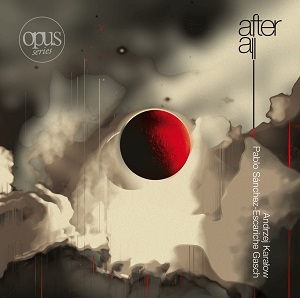 13 A Sorrowful Tale, Song for two voices and orchestra Op. 3 No. 1 Keep talkingto me, the first part of the Symphony "Rebirth", and Lithuanian Rhapsody. The celebrations of the 70th anniversary of Nowa Huta, organized by the City of Kraków, coincide with the 40th anniversary of the first pilgrimage of Pope John Paul II to Poland. 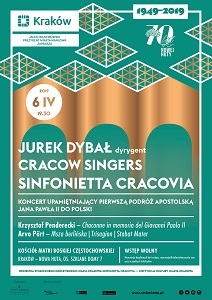 Sinfonietta Cracovia joyfully joins the celebrations by giving a concert of new sacred music on April 6, 2019 at 7.30 p.m. in the Church of Our Lady of Częstochowa in Kraków. The evening will begin with Krzysztof Penderecki's poignant Chaconne in memoria del Giovanni Paolo II, written after the death of John Paul II and dedicated to the Pope. The programme will include works of the Estonian composer Arvo Pärt who in the mid-1970s developed his own original style, called tintinnabuli (Latin: small bell). He turned to the roots of European sacred music and breathed into his works the atmosphere of deep reflection, harmony, and contemplation. In the ascetic interiors of the Church of Our Lady of Czestochowa, we will listen to his Berlin Mass, Trisagion and Stabat Mater.Sinfonietta Cracovia and Cracow Singers will perform the works under the direction of Jurek Dybał. 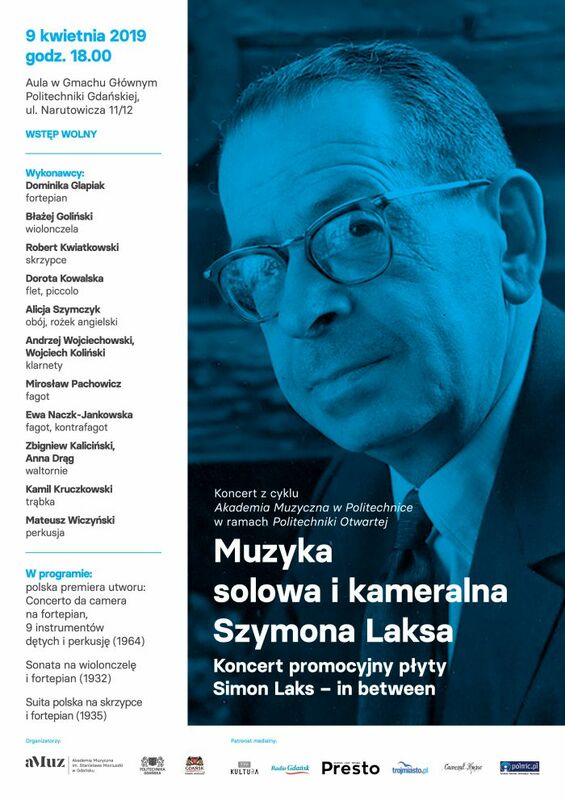 Solo and chamber music of Szymon Laks will be performed at the next concert from the series "Academy of Music at Polytechnic", which will take place on April 9, 2019 at 6:00 p.m. at the Gdańsk University of Technology as part of the "Open Polytechnic" project. Szymon Laks belonged to the generation of Polish composers who, due to the Nazi regime and its allies, disappeared from the cultural map of Europe, not only because of Jewish but also Polish origin. Two years spent in the Auschwitz-Birkenau concentration camp were taken out of the life of this young artist who was at the peak of fame. These dramatic experiences as well as the return to reality and the attempt to join the modernist wave influenced his music, but did not define it. His life was suspended between presence and nonbeing, between sound and word – two dimentions that Szymon Laks had the greatest love for. At the end of December 2018, CDAccord released an album entitled Simon Laks – in between, devoted entirely to the music of the composer. 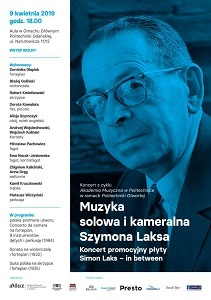 The concert will feature Laks's solo and chamber works, interpreted by pianist Dominika Glapiak and excellent chamber musicians associated with the Gdańsk artistic community. 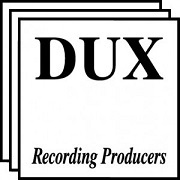 The evening will also feature the Polish concert premiere of the Concerto da camera for piano, 9 wind instruments and percussion, included on the CD. 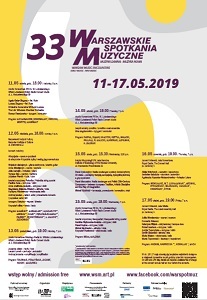 The Institute of Music and Dance, in cooperation with the National Philharmonic in Warsaw, announces the artistic programme "Stage for Polish Music". "Stage for Polish Music" is a new programme of the Institute of Music and Dance directed to Polish performers, realized in cooperation with the National Philharmonic and artistic institutions in the country. The selected concert programmes composed of Polish works will be presented in the Chamber Hall of the National Philharmonic and repeated in other cities in Poland. The programme aims to inspire musicians to include Polish music in concert repertoires, to promote performances of Polish music and to interest the public in Polish music, especially lesser known works. The expected result of the programme is the presentation and popularization of Polish compositional output, especially less frequently present in contemporary concert practice, the increase in the number of performances of Polish music and the promotion of Polish artists. As part of the programme, artists – soloists and chamber ensembles – can apply for co-financing in the amount of up to PLN 30,000. The budget of the programme is 240,000 PLN. The deadline for submissions is 30th April 2019.  This year's Warsaw Music Meetings – one of the most important festivals presenting early and new music and the first and only one that has adopted such a formula – will take place on May 11-17, 2019. Warsaw music lovers, tourists and radio listeners will have the opportunity to listen to the original interpretations of important early music works and the latest pieces of contemporary composers, created in large part for the Festival, including those commissioned by the "Composing Commissions" programme run by the Institute of Music and Dance. 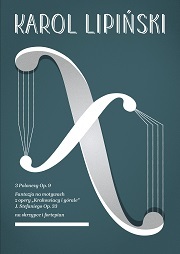 The programme of the festival will consist of the following concerts: a concert of the Lviv Virtuosos Chamber Orchestra, directed by Roman Rewakowicz and featuring soloists Agata and Łukasz Długosz (flutes) in a contemporary Polish-Ukrainian programme; a concert entitled Aforyzjada with brief chamber works by 10 Polish contemporary composers to aphorisms by Krzysztof Bilica. Concert addressed to everyone, but mostly to children. 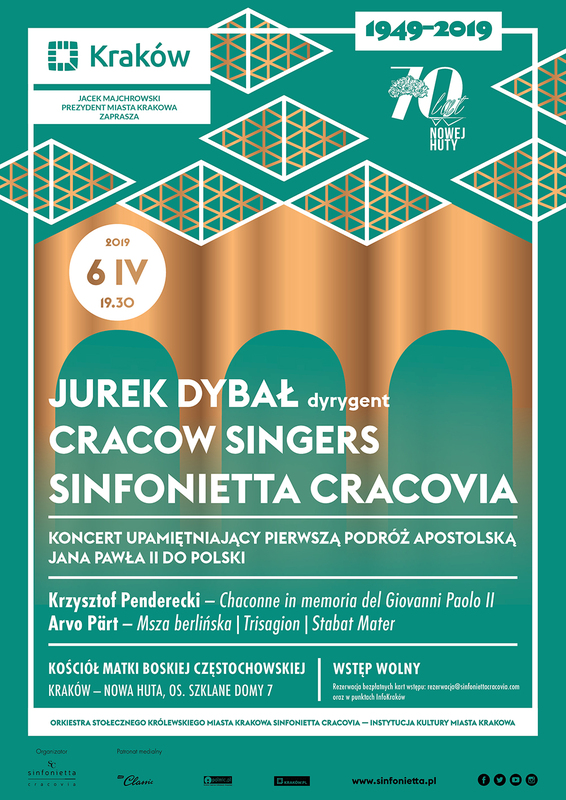 Performers include: Anna Mikołajczyk (soprano), Zdzisław Piernik (tuba), Julia Samojło (piano), and Polonika String Quartet; a concert of the Emotivo vocal ensemble, with popular songs by Polish composers also known for their classical music works, such as Krzesimir Dębski, Krzysztof Knittel, Ryszard Sielicki, Adam Sławiński, and others –in jazz arrangements; a concert of Neoquartet, a string quartet from Gdańsk, performing works by Piotr Moss and Witold Szalonek; a concert of the trio of saxophone (Alicja Wołyńczyk), accordion (Jarosław Gałuszka) and piano (Agnieszka Kopacka-Aleksandrowicz) with Stanisław Moniuszko’s Tańce góralskie (Highland Dances) and some new contemporary works commissioned by the Festival; a concert ofthe Concerto Polacco ensemble directed by harpsichordist Marek Toporowski with soloist Julita Mirosławska (soprano). Admission free! On May 16th and 17th, free admission cards will be available at the Royal Castle 1/2 hour before the concerts. The organizer of the Festival is the Warsaw Branch of the Polish Composers' Union, in cooperation with Programme 2 of Polish Radio S.A.